Our Checkout page and payment system have always been secured by an encrypted connection provided by our payment processing service provider which is PayPal. However, we now have the pleasure to announce to you that all pages on our website are currently using an SSL encrypted connection in order to keep your experience safe and secure. 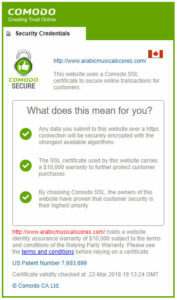 The SSL (Secure Sockets Layer) certificate creates an encrypted connection between our Web server and your Web browser. This connection between the two makes sure that all the data passed between them remain private and secure. 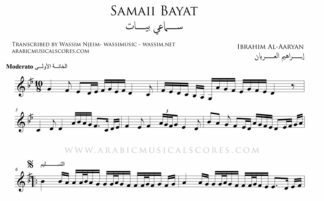 Thank you for trusting us for a safe and secure shopping experience and for the best and most well written Arabic Sheet Music on the Web!